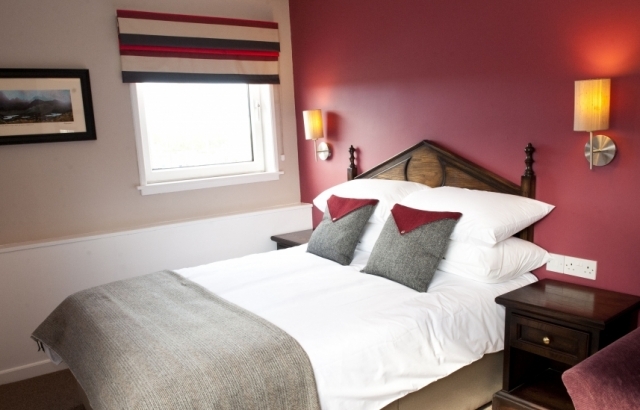 In the Spring 2014, The Crown Inn was given a smart, contemporary facelift by new owners, Tom and Holly Strathmore when they re-opened the well-established hotel following a renovation of rooms, bar and restaurant. 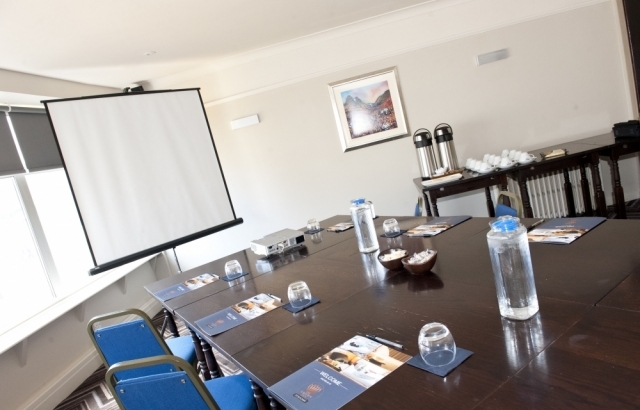 The prime location is right beside the harbour, with spectacular views over to Lews Castle and Museum, the ideal place to stay a short walk from the Ferry port and Bus Station. The Hotel has a fascinating link to the Royal Family. In 1963, when aged 14, Prince Charles and four school friends arrived in Stornoway on board the Pinta, the Gordonstoun training ship, to have supper at the Crown followed by a movie at the Playhouse. Escaping attention from local journalists, Charles escaped to the Bar and when asked by the unsuspecting barmaid what he would like to drink, he ordered a cherry brandy. When it was revealed that the underage future King had been served alcohol, with his private detective absent from his royal duty, the story became a media sensation. 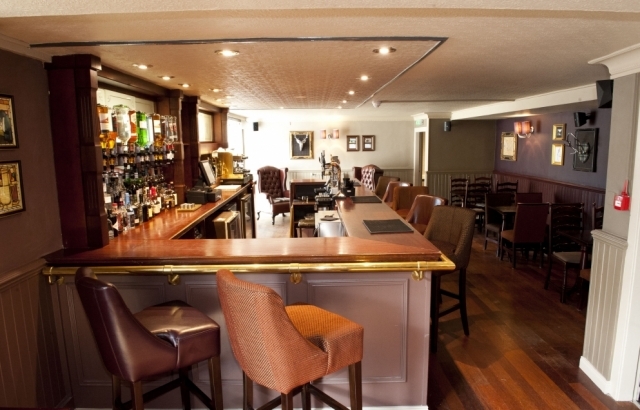 While Charles was sent back to Gordonstoun to be reprimanded by the Head Master, the bar was nicknamed the “The Prince of Wales” to commemorate his visit. 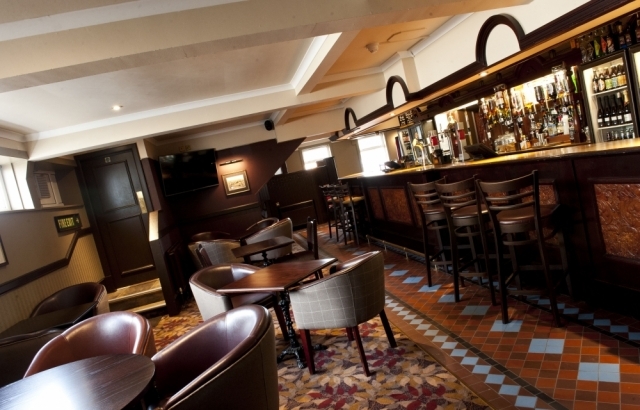 Today, the most aptly named Crown Bar is a lively, buzzing place for hotel guests, locals and international tourists in town offering the style of a traditional hunting lodge with decorative Stag Heads and leather wing armchairs with the ambience of a chic cocktail bar and laid-back jazz-blues music on the soundtrack. 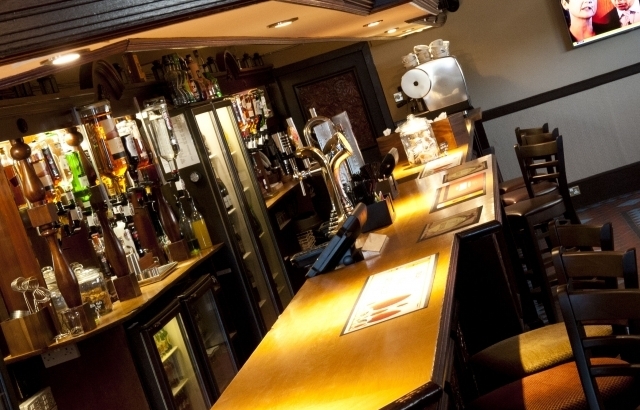 There’s an impressive selection of drinks with a speciality Gin menu offering 115 brands from across Scotland, UK, Europe and the world, Whiskies, spirits, beers and well-priced wine list. 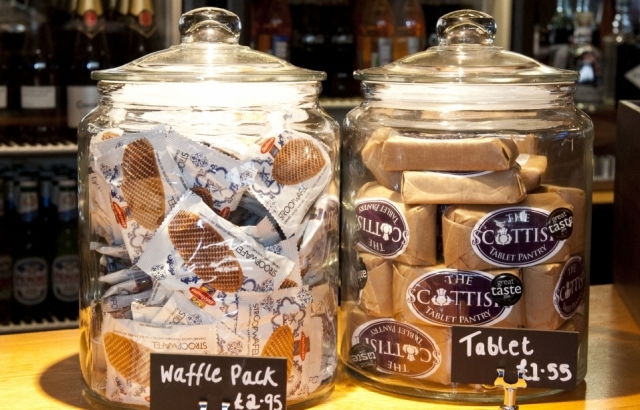 The staff are knowledgeable and enthusiastic and will recommend a fine single malt, Harris gin or shake up a cool Martini. Dinner is served either in the bar, if you prefer a more casual setting, or the Harbour View Restaurant next door. The menu is so inviting with the simple message “Let’s Eat Dinner – fresh, local, produce.” This is contemporary Bistro-style good food which celebrates Island seafood, meat, game and seriously, high quality homemade dishes such as a range of burgers – beef, chicken and vegetarian, chef’s own Fishcakes, Lewis Lamb, Roast chicken and classic fish and chips: Hearty, healthy modern Scottish cuisine, for a true taste of the Hebrides. 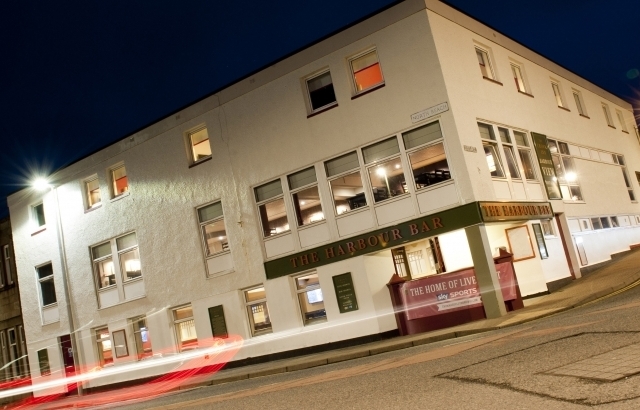 Downstairs is the Harbour Bar for an alternative pub atmosphere complete with pool table and live music gigs and ceilidhs, where Stornoway folk will gather over a few drinks with hotel guests joining in the lively atmosphere. Accommodation offers seventeen Bedrooms (from single to family), which are simply furnished with all the main essentials, comfortable mattresses, cosy duvets, soft towels, hot water in the shower, TV (wide choice of channels), Tea and Coffee tray – all you need for a good night’s sleep. 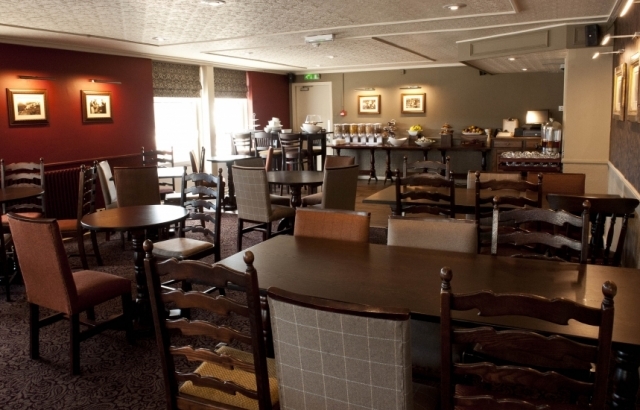 Breakfast is exemplary with a cold buffet of fresh fruit and cereals and pastries and a great choice of hot dishes such as the full Scottish with eggs, bacon and Stornoway black pudding or Scrambled egg with Smoked Salmon.